Walmart plans to enroll all of its export and domestic suppliers in China, starting with 100 of its top suppliers, into an emissions reduction program in an effort to reduce greenhouse gas emissions in the country. The company’s goal is to reduce emissions among its China value chain by 50 million metric tons, reports Sourcing Journal. Expanding its ongoing Project Gigaton is part of Walmart’s global approach to sustainability, in which China plays an important role, CEO Doug McMillon said. 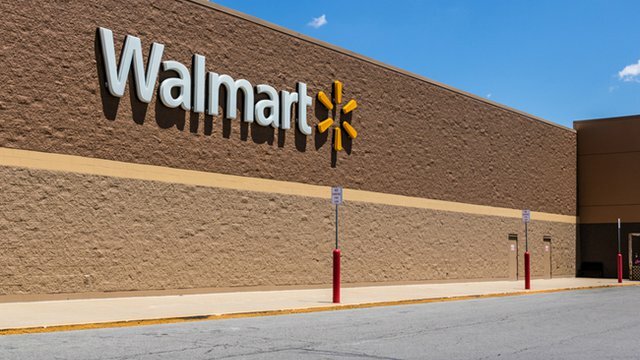 Walmart was the first retailer to set an emissions-reduction plan approved by the Science Based Targets initiative, and Project Gigaton falls under this plan, in alignment with the Paris Climate Agreement, the retailer noted. 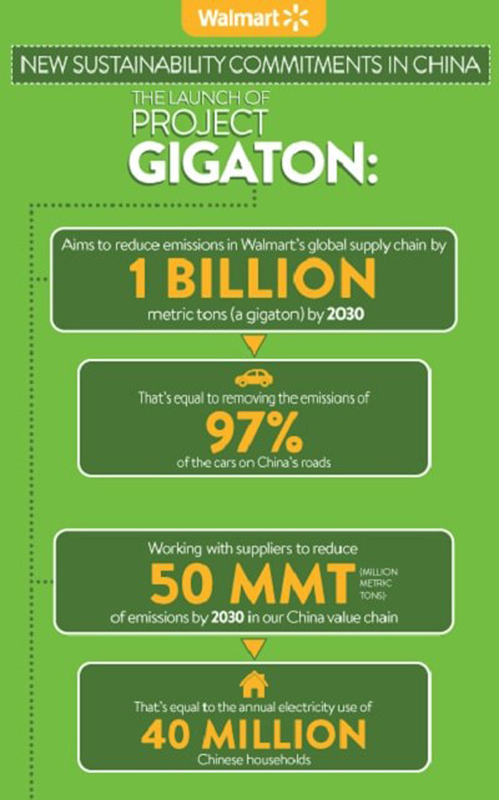 Through Project Gigaton, Walmart aims to work with its suppliers to reduce emissions in its global value chain by 1 billion metric tons – a gigaton – by 2030, equal to the emissions from more than 211 million average passenger vehicles in a year. The 50 million metric ton emissions reduction target in China, which the company equivocates to the emissions associated with the average annual electricity consumption of 40 million Chinese households, is part of the goal. 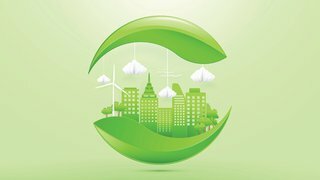 To help provide resources to suppliers in China, Walmart has created a digital resource center in Mandarin and English at walmartsustainabilityhub.com, with tools, case studies and program resources on emissions reduction in the value chain. This past fall, China shut down 80,000 factories, including some textile dyeing facilities, in a multi-month crackdown on pollution in an effort to improve the country’s poor air quality. To complement the Chinese government’s goals to drastically increase usage of renewable energy, Walmart said it plans to expand on-site solar systems and work with developers to bring large-scale off-site projects onto the grid. McMillon revealed that Walmart’s new commitment to reduce the carbon intensity of Walmart’s own operations in China, which include stores, clubs, distribution centers and other facilities, by an additional 25 percent by 2025, which would be 70 percent below 2005 levels. 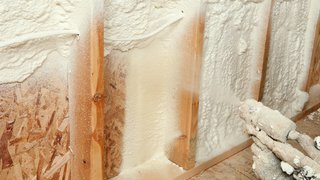 The company plans to accomplish this through innovation in operational efficiency and sourcing clean renewable energy, such as wind and solar. 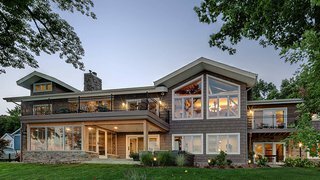 The company recently completed 1,400 retrofit projects to transform existing facilities to reduce emissions.